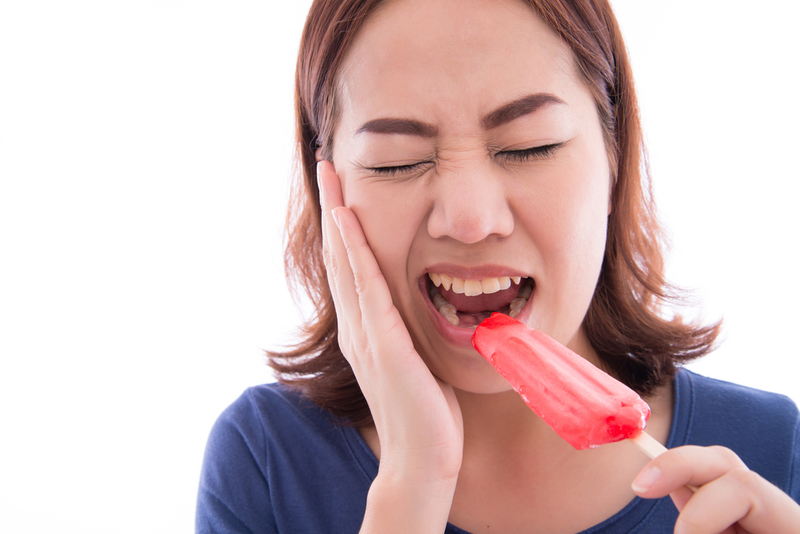 Do your teeth hurt when you take a sip of hot coffee or when you taste ice cream? 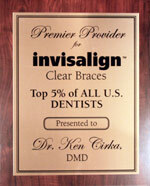 When you brush or floss do you experience any pain? Well, if so you could have sensitive teeth. Some possible causes to your sensitive teeth may include; tooth decay or cavities, fractured teeth, worn out fillings, gum disease, worn down tooth enamel, and exposed tooth roots. When you have healthy teeth, there is a layer of enamel that protects the crowns of your teeth (above the gum line.) Underneath the gum line there is a layer called cementum with shields the tooth root. Dentin is what is underneath both the enamel and the cementum which is less dense than enamel and cementum and also contains microscopic hollow tubes. When your dentin loses its enamel or protective covering these hollow tubes allow any heat, cold, acidic or sticky foods to reach your nerves inside the tooth. This is what results in your tooth sensitivity. Don’t worry though your sensitive teeth can be treated at our Center City office. Your type of treatment that you will receive will depend on what is causing your sensitivity. What our accomplished doctors may recommend may be one of these treatments. Desensitizing toothpaste. What this special toothpaste does is help to block any sensation from the tooth surface to the nerve. This toothpaste typically takes several uses before your sensitivity is condensed. Fluoride gel. This is an in-office method which will strengthen your tooth enamel and all in all, reduces any sensation you may be feeling. Crown or Bonding. These methods can correct any flaws or decay that will result in sensitivity. Root canal. If your sensitivity is extremely bad and there is nothing to be done to correct it the only option may be a root canal to remove the problem. The key to not experience any sensitivity is to take care of your oral hygiene. Make sure you are getting your routine cleanings every 6 months with our great hygienists. 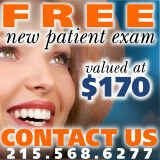 If you are having any pain at all do not wait, give us a call today to schedule your appointment 215-568-6222.